Four years ago when the tomato blight hit this hard, Anna asked me to pull out the vines because they were too depressing. 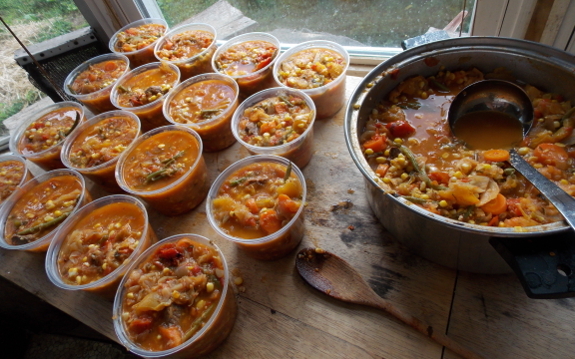 This year, we've been harvesting what we can to make into soup. Maybe not as much as last year, but we'll appreciate every nutrient packed morsel in January.